Arizona ranks 8th in the nation for overall vehicle thefts, a crime that is fueling drug and human trafficking across the Mexican border as well as costing the state $86 million in economic losses, according to reports from the Arizona Automobile Theft Authority. It adds that INTERPOL also has identified vehicle theft and related criminal activity, including insurance fraud, as one of the primary funding sources for international terrorism. 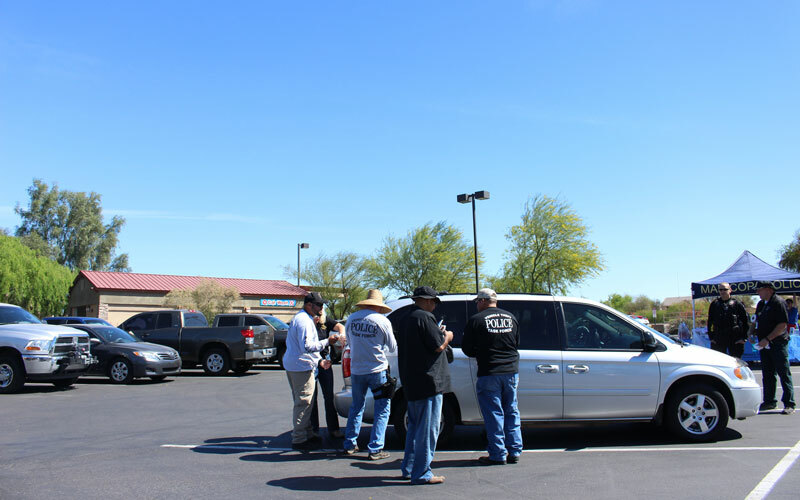 More than 17,000 vehicles were stolen in Arizona in 2014, with the most auto thefts occurring in Maricopa County. The state ranks 11th in the country for vehicle thefts per capita, behind the District of Columbia, Washington, California, Nevada and New Mexico according to the AATA. “It’s a border issue, we have the same issues as well as California, as well as Texas,” Capt. Sean Carney of the Arizona Department of Public Safety said. DPS has about a 38 to 40 percent recovery rate for the stolen vehicles it investigates, he added. During fiscal year 2015, the AATA Vehicle Theft Task Force reported the recovery of 1,023 stolen vehicles valued at over $11 million. 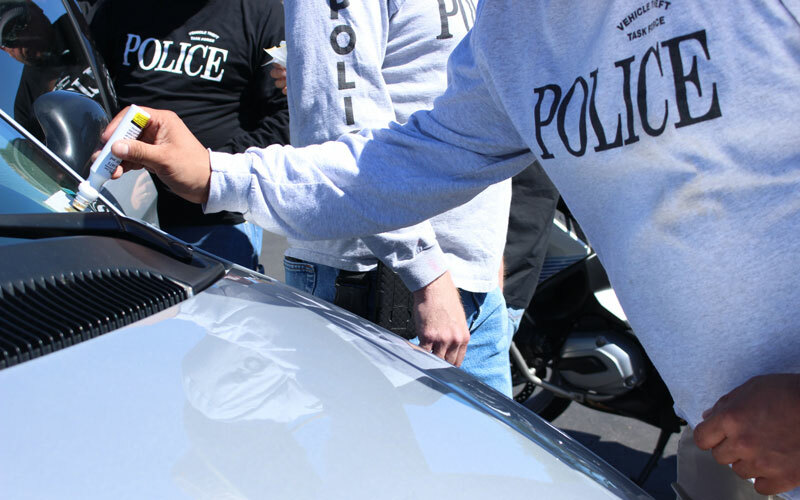 The task force reported 241 auto theft related arrests, investigated 15 stolen automobile chop shops and found 152 cases of altered or switched Vehicle Identification Numbers. “People buy their cars and park it someplace and it gets stolen . . . It upsets your life, your day-to-day activities, your job,” said Alberto Gutier, director of the Governor’s Office of Highway Safety. The 1997 Honda Accord, 1998 Honda Civic, 2006 Chevrolet Pickup, 2003 Ford Pickup and 2005 Dodge Pickup were the most frequently stolen automobiles in Arizona according to the AATA report. 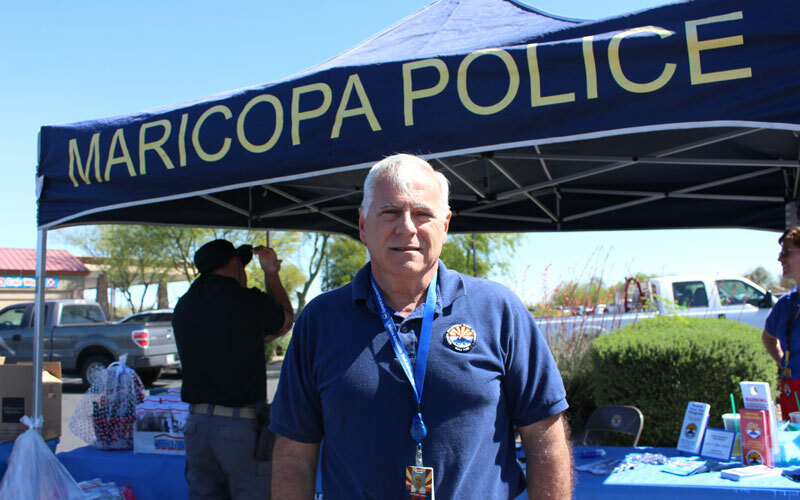 “The biggest thing when we are talking about the Phoenix area and stolen vehicles is that a lot of these newer homes, you can’t fit these big trucks in the garage,” said Fred Zumbo, AATA executive director. Zumbo said the big trucks are often used as vehicles for smuggling by cartels because of their storage space. Experts say the one of the best ways to prevent theft is to pay attention to where a vehicle is parked. Measures such as buying a car alarm, putting a locking mechanism on the steering wheel or parking closer to businesses in parking lots can help prevent theft, he said. In 1991, Arizona was number one in the nation for automobile theft. The AATA was founded one year later to help reduce theft and operates with money from insurance company assessments. Among other things, it provides local authorities with bait cars, which are equipped with technology that allows authorities to control it remotely and strategically place it to attract thieves. 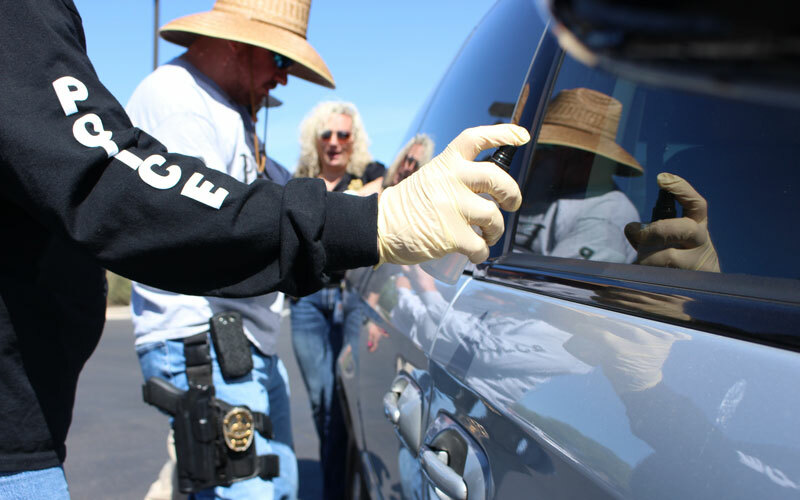 In addition to helping law enforcement, the AATA partners with law enforcement to host VIN etching programs, free events where people can have vehicle VIN etched onto its window glass. VIN etching makes the car less desirable to thieves because its car parts are more trackable to law enforcement. “VIN etching may not impact somebody running across the border in a stolen vehicle, but it does have an impact if they ever want to bring it back, because they can’t just switch the VIN numbers,” Carney said. He said another main use for etching VIN numbers on glass is to help authorities track stolen vehicles during chop shop investigations. Additional tips from DPS include not leaving an ID in the car, or even a remote control clicker, which could potentially give thieves easy access for home burglaries. Zumbo said the AATA is beginning to implement statistical data to find new trends and hotspots in automobile theft, as well as tracking repeat offenders for auto theft. Its Watch Your Car program allows people to sign up to have law enforcement pull over their car if it is seen driving between 1 and 5 a.m. or within a mile of the Mexican border.